As the sun starts to peep through the clouds, you want to put your rigid, structured hairstyles behind you to make way for more flexible, bohemian styles. A wind of romance is blowing already… Here are 3 trendy, romantic hairstyle ideas for you to try. Wavy hair. After its huge success last summer, wavy hair is back for this new season. 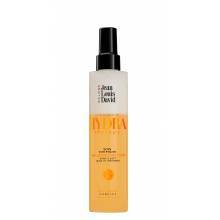 The result: supple, full-bodied hair for a deliberately dishevelled effect. A fan of wavy hair? Create pretty waves across your mid-lengths and ends. There are two solutions for this. Firstly, the exclusive wavy service from Jean Louis David, which will give you beautiful waves for 4 to 6 weeks. Or, create these big waves at home with wide-barrelled curling tongs. Jewelled headband. 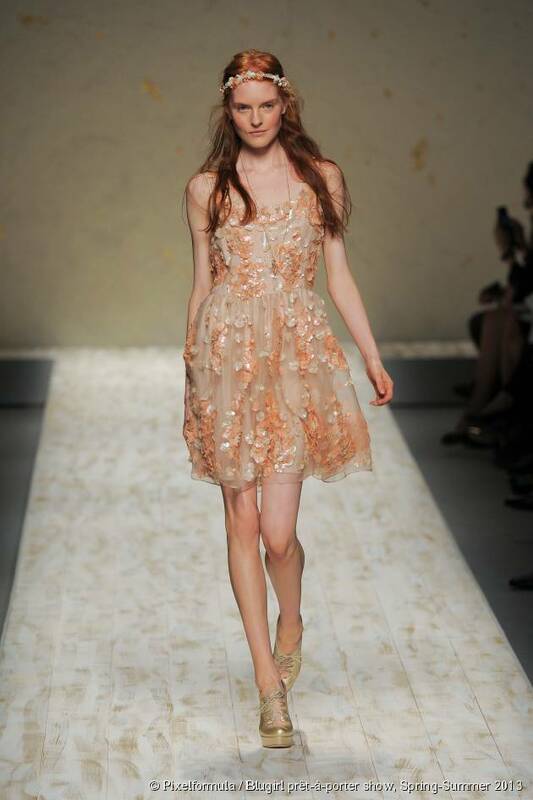 At Blugirl, hair is left natural with loose, lightly tousled styles. The key accessory for this show is the jewelled headband for a chic, boho style. To get this result, apply styling mousse to wet hair and dry naturally, working your fingers through your hair. Place your headband horizontally across your hairline. The messy braid. For this spring-summer 2013, braids are once again leading the trends. For a romantic hairstyle, create a messy braid. Use a styling mousse to give your hair texture then dry with your fingers for a flexible result. Brush your hair, pull it to the side and start to braid! Keep it loose for a messy look.